Hola! I hope you all are doing well! Today's review is going to be different then what I usually do. This time I enlisted the help of my Dad! 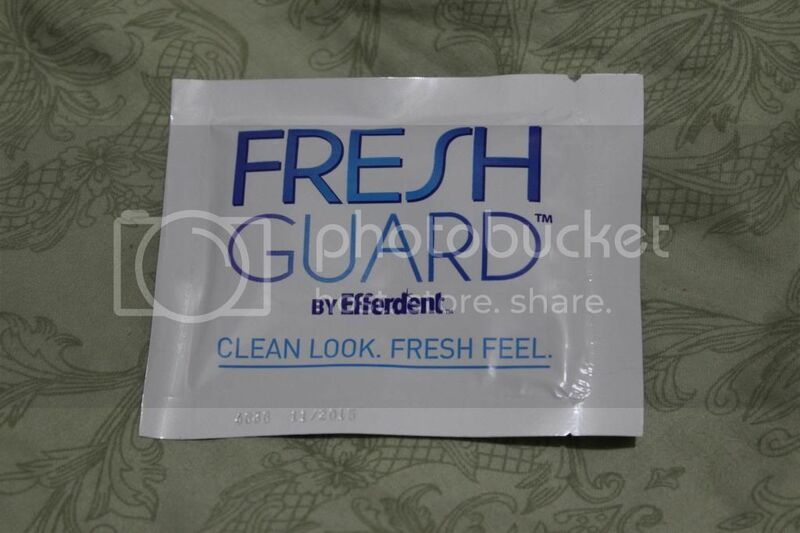 The products in question are Efferdent's new Fresh Guard line! We're going to be chatting about two products and I'm going to share my Dad's and my's views and opinions of each product! And don't worry, I'm not going to gross you out by showing you teeth or mouth guards... well I could show you my mouth guard, but that would require me to actually know what happened to it! I either misplaced it or my Niece got a hold it. 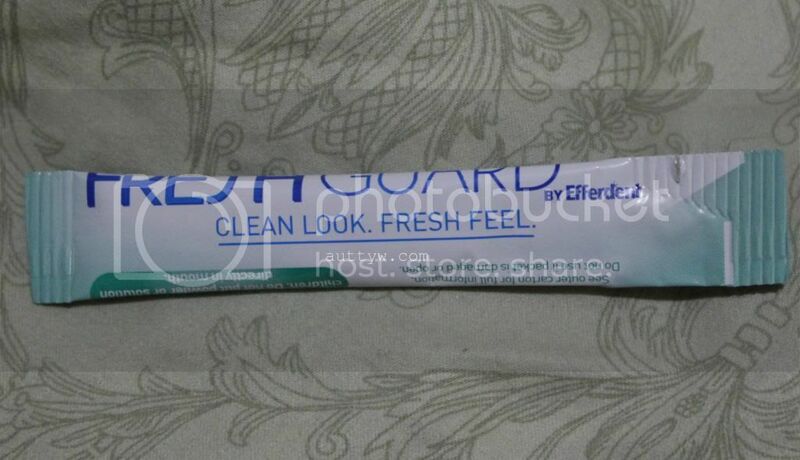 The first product we're going to chatter about are the Fresh Guard Wipes. 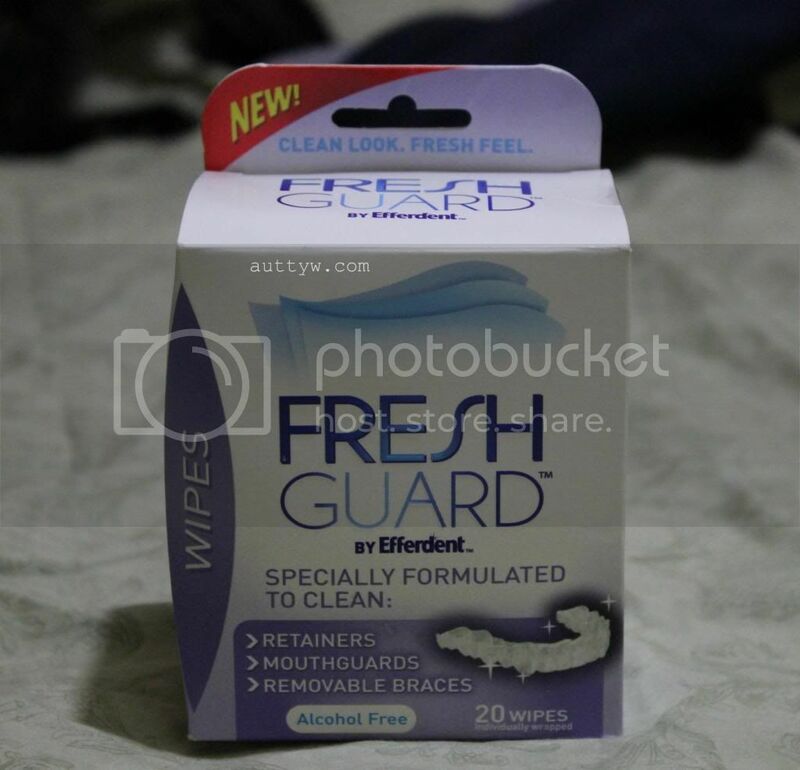 The Fresh Guard Wipes retail for around $6.99 for 20 wipes and you can find them pretty much anywhere you can find Efferdent. I've seen them listed on Walgreens.com as well as Walmart.com. My Dad thought these were really nice as well as handy to have to clean his dentures after he ate. He said these have a nice minty taste as well as they helped his dentures feel clean. The cloth itself is HUGE. For myself I definitely think it could be smaller because you don't need to use a huge portion of it to clean your braces, mouthguard or retainer. That's my only gripe really and it's not even a gripe, it's just personal preference. I do highly recommend these and so does my Dad. 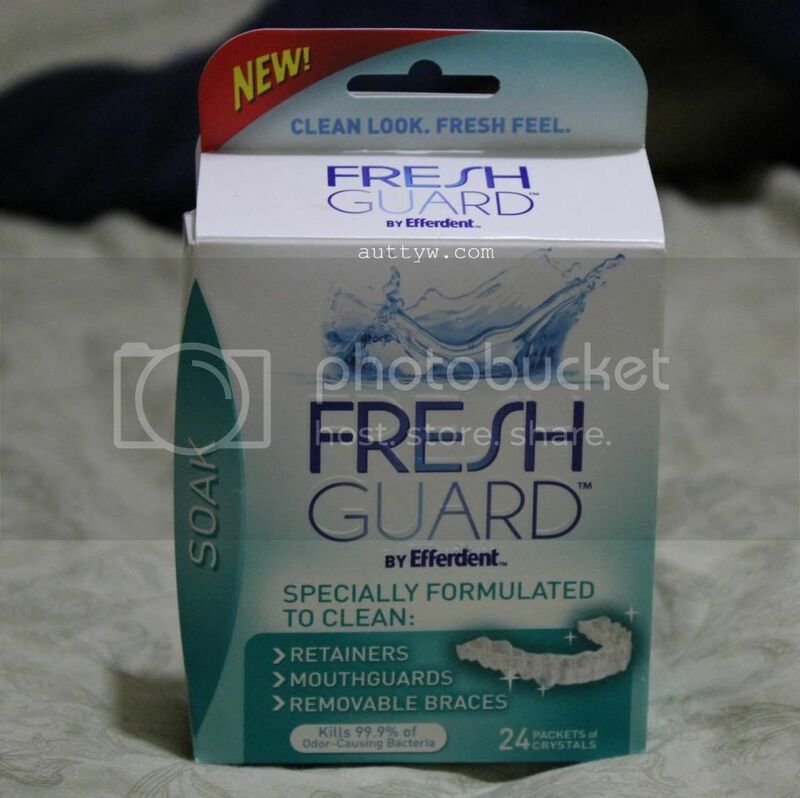 The Fresh Guard Soak is formulated for the same thing as the wipes. Retainers, mouthguards, removeable braces. This retails for around $5.48 at Walmart, but you should be able to find it at Walgreens as well. I'm pretty sure you can find these wherever you can find regular Efferdent products. Now, for the same reasoning above, I had my Dad test this out for me. I couldn't test this myself, since my mouthguard is AWHOL. You can let your dental device soak for more than 10 minutes, the package says no less than 5 minutes but no more than 10. My Dad let his teeth soak for 10 minutes. He said, they left his teeth feeling nice and minty and while they did get clean, it didn't take the stains out of his teeth. 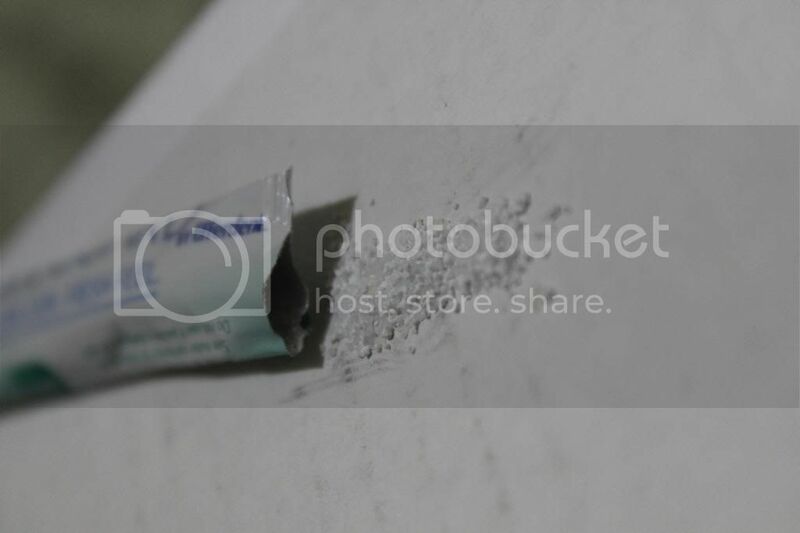 He typically uses the regular Efferdent, which he lets soak for 15 minutes OR over night if that's how he feels and that takes the tobacco and coffee stains out of his teeth. It lightened the stains SLIGHTLY but didn't remove them like the regular Efferdent. All in all, myself as well as my Dad recommend these. The wipes are handy for those with dentures for spot cleaning after meals if they're out and about. The soak not so much for dentures, BUT at the same time it is NOT designed for them. I do think that these would work perfectly with what they're designed for. I will definitely update this, or do an updated review when I find my mouthguard, but in reality I'm going to wind up having to buy a new one. I really like both products and find them to be very handy! If you want to see more information about these products go here !! 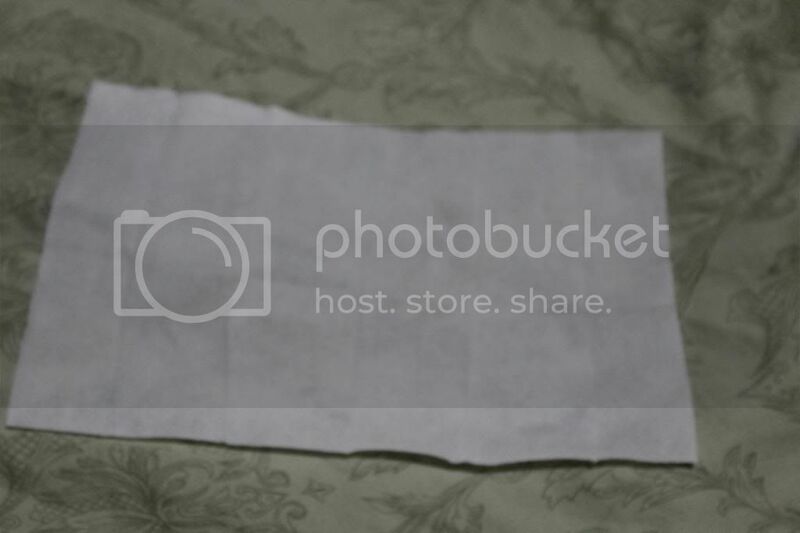 >> http://bit.ly/1ccSrzl you can also get coupons and exclusive offers by signing up using that link! Products were provided for free for review. All opinions are my own as well as my Fathers. Great review. They sound very nice. I need to pick this up!! It's trifling how little I clean my mouthguard properly, whoops.